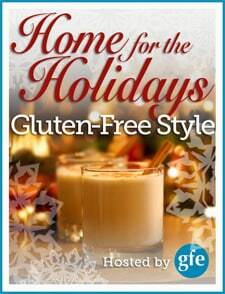 Are you following along with our Home for the Holidays … Gluten-Free Style event? I hope so. I seriously can’t believe the response so far and how much fun we’ve had already, and it’s only Day 2—woohoo!! Today’s blogger is Diane of The Whole Gang. She’s sharing Gluten-Free, Dairy-Free Toffee. She warns that you might have to join a certain club if you try it. Hehe. And believe me, she’s right! Incidentally, I’ve been nominated as the Secretary of this particular club (thanks, Kim!). Find out more about the club to see if you want to join and also enter the giveaway for today’s prizes, three very popular cookbooks (three winners will receive one of the following: The Gluten-Free Almond Flour Cookbook, Gluten Free in Five Minutes, and The Steamy Kitchen). Check out all over at Diane’s here. psssst … Hurry … Diane’s giveaway ends tomorrow, Wednesday, November 30, at 10:00 pm Eastern. This is the most amazing picture…wow! 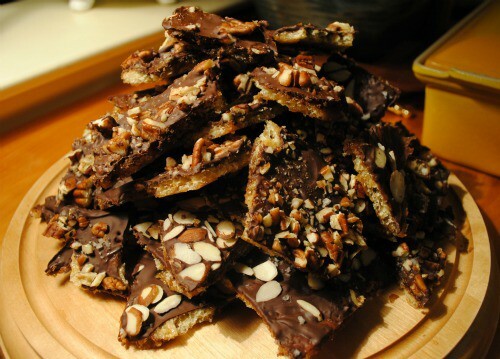 I am dying to see this recipe; so perfect for Christmas. Thanks for sharing; this is wonderful.